Lemonbreak dictated terms from the start but had to wait till the 35th minute to open the scoring through Bobby John. Mumbai: Powered by Mohd. 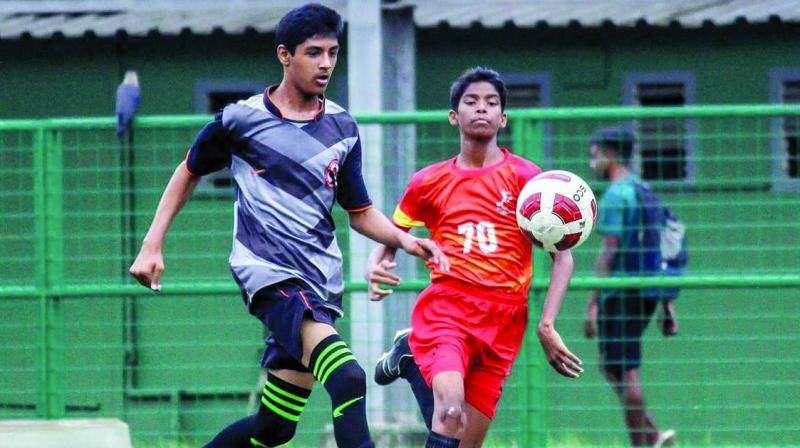 Mansoor’s fine hat-trick Lemonbreak, Mumbai recorded a thumping 6-0 win against Nashik United Soccer Academy (NUSA) in a Group-C league matches of the 2nd WIFA Youth Boys (U-14) Championship 2018-19 and played at the Cooperage ground. Lemonbreak dictated terms from the start but had to wait till the 35th minute to open the scoring through Bobby John. Two minutes later Joel Fernandes hit the targey to double the lead before Mansoori scored his first and the team’s third in the 48th minute. He then scored two more in the 56th and 60th minutes to compete his hat-trick to knock the fight out of the rivals. Mohd. Shikalbar got one in the 54th minute to complete the margin of victory. In another match, Nashik Football Coaching Centre, Nashik and Khandoba TM, Kolhapur shared honoursas they played out a 1-1 draw. Shlok Bhalerao scored for NUSA while Khandoba equalized through Pranav Nikam.